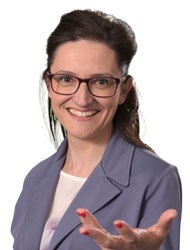 Rosa Maria Ballardini is an Associate Professor at the University of Lapland, Faculty of Law. She holds a PhD from Hanken School of Economics, Finland (2012), an LLM in IT and IP law from the University of Edinburgh, Scotland (2005) and a law degree from the University of Brescia, Italy (2003). In 2017 Rosa was granted the title of Docent (Docentti) in Intellectual Property Law from the University of Helsinki. Previously – 2008 to 2009- she was a Visiting Scholar at UC Berkeley/Boalt Hall. Since 2005 she has researched and thought in the field of IP law at various univeristies. Rosa’s research interests focus on the interface between law (with focus on IP law) and technology. She also investigates issues related to IP law and sustainable development, including social innovation models. She has written extensively especially in the fields of patent and copyright law, open innovation and open source, as well as IP strategies and IP management in various technological contexts (e.g. software, 3D printing, Artificial Intelligence and industrial internet). Her research approach is multidisciplinary, combining law, technology, business and policy via using different types of methodologies (e.g. traditional legal research methods, empirical methods and design thinking in legal studies). - ONPOOL6E, Oikeustapausseminaarit "Case Clinics"